This is Sam surrounded by his eight puzzles. 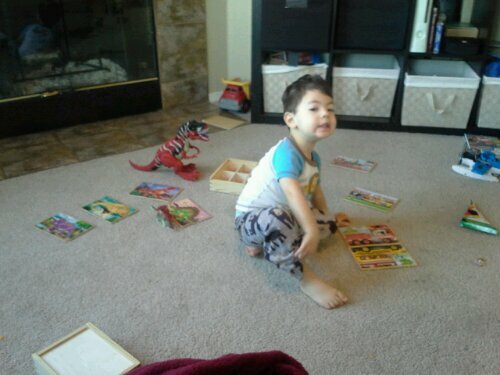 He put them together all on his own this morning. Then he took them apart and put them together again. He’s been at it for over an hour and shows no signs of stopping. I wish this was a better picture, but I was lucky to get him to look up at all. He can get really focused.